Everyone has that one teacher that we’ll never forget, who inspired us in some way and helped us grow as a person. For me, that was my high school art teacher, who encouraged me to experiment with all kinds of art and to push my creative boundaries. I’ll admit, I am terrible at drawing and art in general, but her encouragement definitely inspired me to push myself creatively and for that, I thank her deeply. Being a teacher is certainly an under appreciated field, given how extremely important their jobs are, so as this school year ends, let your little ones show their teacher just how special they are with this collection of incredibly easy teacher appreciation gifts. From classroom-inspired gifts to one-of-a-kind crafts that your kids can personalize, there’s a perfect gift for any and every teacher. I’ve made sure to include gifts in a jar and other budget-friendly crafts that go a long way, so that your kids can shower their teachers in awesome gifts without breaking the bank. Your kids will love showing their teacher they love them with this list of fantastic end of year ways to say thank you. If you have any other great teacher appreciation ideas, please leave a comment below. 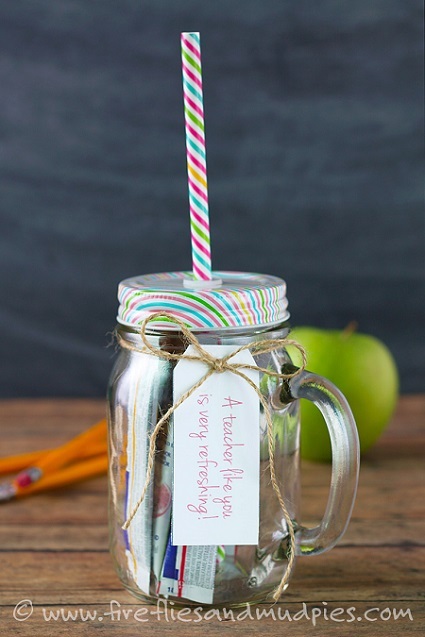 Thanks for reading and be sure to celebrate your child’s teacher with these wonderful DIY teacher appreciation gifts! Fun Fact: Did you know the tradition of giving teachers apples started in Denmark? 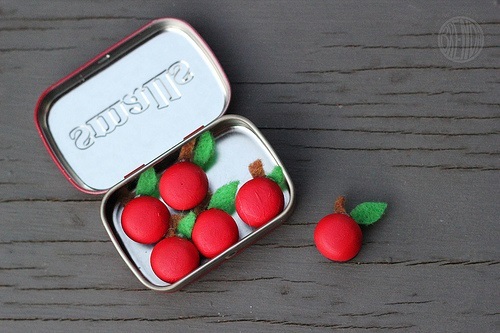 Tiny Apple Refrigerator Magnets – Love This! Teacher Appreciation Book and Cookies – Yummy! 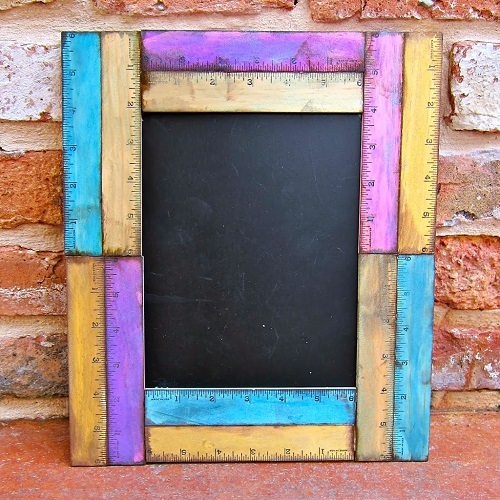 This DIY craft would look perfect on any teacher’s desk! Crayon Vase Gift for Teachers – So Colorful! Succulent Pen Teacher Gift – Literally Mind-Blowing! 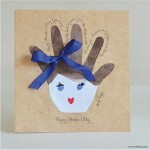 A great gift idea with tons of wonderful surprises! 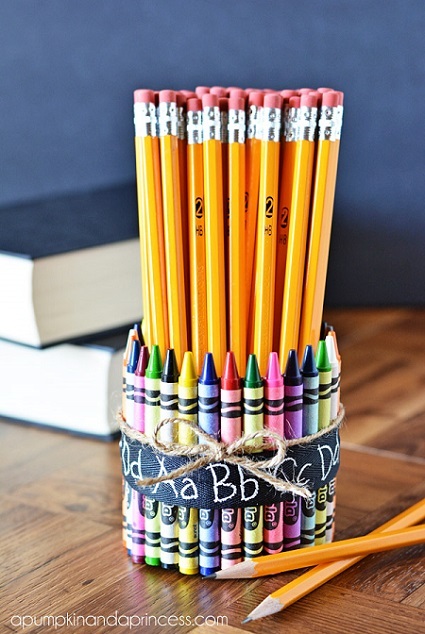 Teacher’s Pencil Cup – Budget-Friendly! School Supplies Tower – Teachers Will Love This! Your kids can show their teacher just how much they rule! Thanks a Bunch Flower Pot – Perfect for Spring! School Teacher Clock – Great in Any Classroom! School Rules Homemade Chalkboard – Must-Have! How will your kids’ show their teachers some appreciation this school year? Leave a comment below!